The House of Edgar Shotts & Dykehead Pipe Band's drum corps took top honours at the 2011 World Pipe Band Championships, winning the Samuel J Hodgen Trophy & Andante Sash at Glasgow Green on Saturday 13 August, 2011. 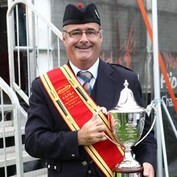 Jim Kilpatrick MBE lifted what was his 15th world title as leading drummer of the Shotts band. The band finished 10th overall, after having to play in the morning qualifiers to reach the final. Everyone in the band is delighted with the solid performances on the day and the continued improvement in performances as the season has progressed. The players are now looking forward to Cowal Highland Gathering in a fortnight. You can watch all of the band's performances on demand on the BBC iPlayer on the BBC World Pipe Band Championships website. The Shotts band made its way to Belfast to compete in the European Pipe Band Championships in the grounds of Stormont estate on 30 July, 2011. The band played well in blistering heat and finished just out of the prize list in 8th place overall. The band's drum corps had good fortune and played extremely well to take the European title. 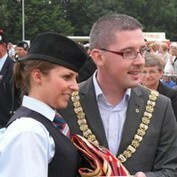 The award was presented to tenor drummer Ashleigh Byers by the Mayor of Belfast. The band will now be working hard for the forthcoming World Pipe Band Championships on Saturday 13 August. It's been a busy season so far for The House of Edgar Shotts & Dykehead Pipe Band. With an almost new pipe corps in the ranks, the band has endeavoured to take on the busiest competition schedule in recent times, appearing at indoor, local and all major championship competitions. The band still has several competition appearances ahead, including the European Championships, Bridge of Allan Highland Games, the World Championships and Cowal Gathering ahead. North Lanarkshire Council held a civic reception in the Hilton hotel in Bellshill, North Lanarkshire on 3 September, 2010 to honour the band on reaching it's centenary year. The band was delighted to have been invited to such an occasion to recognise the achievements of members past and present over the last 100 years. 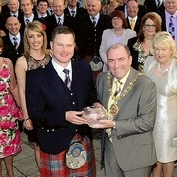 The Provost of North Lanarkshire Council, Tom Curly presented Pipe Major Gavin Walker with an inscribed crystal rose bowl to commemorate the occasion with band members, partners and friends together with Chief Executive Gavin Whitefield and Councillor James McCabe and other civic representatives all present at the event. The House of Edgar Shotts & Dykehead Pipe Band has been nominated for a top Scots traditional music award. The band; in its centenary year, is on the shortlist for 'Scottish Pipe Band of the Year' at the annual MG ALBA Scots Traditional Music Awards 2010, the ceremony of which will be held at a gala concert in Perth Concert Hall on 4 December, 2010. Voting has commenced online and you can vote for the band now until 18 November, 2010. Please cast your vote for one of the finest pipe bands in history and help bring an eventful year for the Shotts band to a happy end. The World Solo Drumming Championships took place in Glasgow Caledonian University on Saturday 23 October, 2010, with a strong international line up of drumming competitors in attendance. 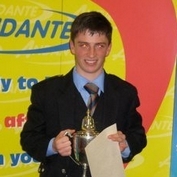 In Juvenile Section 2, Grant Cassidy won a fifth successive world title. In Section 3, Steven Shedden took 2nd place overall, with two of the three judges placing him first. The remainder of the Shotts drum corps played in the Adult sections of the event. David Ross reached the semi-final while Jim Kilpatrick MBE qualified for the final, where he took fourth place overall. Congratulations to all of the drummers for participating and on their respective accomplishments and thanks too to their pipers for supporting their performances. 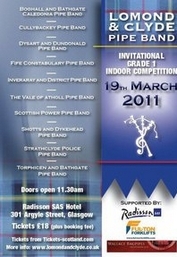 The House of Edgar Shotts & Dykehead Pipe Band will have the opportunity in 2011 to defend their 2010 success at the Lomond & Clyde Pipe Band Invitational Indoor Competition on 19 March, 2011. Boghall & Bathgate Caledonia, Cullybackey, Dysart & Dundonald, Fife Constabulary, Inveraray & District, Robert Wiseman Dairies Vale of Atholl, ScottishPower, Strathclyde Police and Torphichen & Bathgate pipe bands will contend with the Shotts band for a superb Â£2000 prize, which is the largest known pipe band prize fund in the UK. Tickets are on sale now from Tickets Scotland. The Shotts band has a busy night lined up on Saturday 13 Novemeber, 2010, having agreed to perform at two high profile charity events on different sides of the country. A segment of the band will be performing at a Piping Hot Ball in aid of Maggie's Cancer Caring Centres in the Alona Hotel, Strathclyde Park, North Lanarkshire. The event is organised by Janet Cathro, who has strong family ties with ScottishPower Pipe Band. 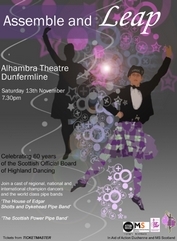 At the same time, a mini band will appear at the Assemble & Leap show at the Alhambra Theatre in Dunfermline, Fife. The show celebrates 60 years of the Scottish Official Board of Highland Dancing and all proceeds are shared equally between Action Duchenne and the MS Society Scotland. The band's members are looking forward to contributing their efforts to both events. The House of Edgar Shotts & Dykehead Pipe Band achieved 5th place at the 2010 World Pipe Band Championships held in Glasgow on 14 August, 2010. The band sounded well and the event had a fitting audience for Pipe Major Robert Mathieson's last performance in charge of the band. The final championship of the season was held at Cowal Highland Gathering in Dunoon. The band played the same medley selection as the one performed at the World Pipe Band Championships two weeks earlier, however a disappointing 8th place was what the band had to settle for. As ever, thank you very much to all of you who followed and supported the band this year and a special thank you to everyone who sent messages with warm wishes to Robert Mathieson on his retirement from the Pipe Major's position. The band will be working hard over the winter months on some exciting new musical challenges under the direction of Pipe Major Gavin Walker. The House of Edgar Shotts & Dykehead Pipe Band is delighted to announce the appointment of current band member Gavin Walker to the post of Pipe Major with effect from Thursday 5 August, 2010. The appointment comes as the band's long serving Pipe Major Robert Mathieson announced his retirement from the position after 24 successful years in post. In a letter read out to the band's members by Robert, he stated "I feel the current team in place are in a position to continue running the band without causing any disruption in moving forward. In the short term I would like to continue as a player within the ranks or even perhaps play a minor role with the key players or management of band in the future. I would however take a back seat and distance myself during the start of the winter schedule to allow my successor total clearance to run the band in their own style. I am fully aware that all of this is easier said than done but I do think the transitional period can be carried out in such a way that the band enjoys continuity and develops further in the coming months and years." He continued "I feel the hand over could be done over the next two contests to allow my successor to hit the ground running when the band is fully operating allowing him to pre-plan winter practices... I am looking forward to competing at the Worlds and hopeful that we can deliver top performances. I have had long talks with Jim and I am happy to report that he will be staying in the band to work with the newly appointed pipe major. I hope all members will endorse that full support." 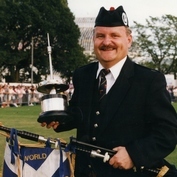 During his tenure as Pipe Major, Robert led the band to win 5 Scottish, 9 British, 6 European, 5 Cowal, 5 World Championships and 9 Champion of Champions titles. In Robert's own words "what more could a PM ask for?" Pipe Major Gavin Walker joined the band in 2010 from Strathclyde Police Pipe Band, where he has previously served as Pipe Sergeant. 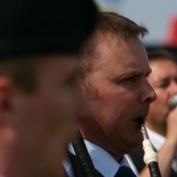 Gavin has impressed everyone in the band since joining and has the unanimous support of the band's rank and file, as does Robert in remaining in the band's pipe corps. Gavin and a team from within the current pipe corps are now working together and looking forward to continuing Robert's exemplary leadership of the band. The band's members are sincerely grateful to Robert for his contribution to the band over the years and wish him well. Gavin will lead the band in competition for the first time in the March, Strathspey & Reel performance at the World Pipe Band Championships next week and Robert will give the 'By the right' command for the last time in the Medley performance, before joining the ranks of the pipe corps. Don't miss the band during Worlds Week in Glasgow. Cloudless skies, hot temperatures, ice cream, paddling... all things we don't usually associate with the first major pipe band championship of the calendar, but they were all there in abundance as The House of Edgar Shotts & Dykehead Pipe Band competed at the Scottish Pipe Band Championships at Levengrove Park, Dumbarton on Saturday 22 May, 2010. The band performed first in Grade 1 to a large audience there to hear and see the best pipe bands new medleys. Breaking new ground for the band, the drum corps competed for the first time with a dual bass drums, consisting of two bass drums tuned and played independently. 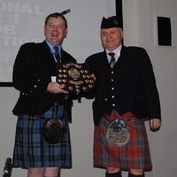 The band retained 3rd place overall, while the drum corps were delighted with their first in drumming, Jim Kilpatrick's 10th Scottish Championship title with the corps. 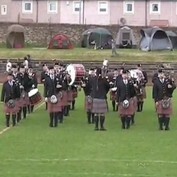 The band will be competing next at the British Pipe Band Championships in Annan on Saturday 26 June, 2010. To mark our centenary, we have created a new, special edition, The House Of Edgar Shotts and Dykehead Pipe Band Centenary tie. 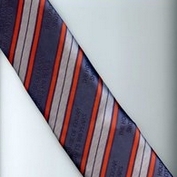 To make these ties even more special, there will only be 100 available for sale representing each of the band's 100 years, so act now and get your piece of Shotts history from our official Centenary Online Store while they are still available. The House of Edgar Shotts & Dykehead Pipe Band made its first competition appearance of 2010 as one of seven invited bands at the Lomond & Clyde Pipe Band 10th Anniversary Invitational Indoor Competition on Saturday 20 March, 2010. The band took first prize of Â£2,500, beating three other finalists from earlier qualifying heats in a four-way play-off of both March, Strathspey & Reel and Medley performances. The prize pot is the biggest known to have been awarded to a pipe band in the UK competition under RSPBA rules. The competition was held in the comfortable surroundings of Glasgow's Radisson Blu hotel. A large audience attended and the general feeling amongst competitors and spectators alike was that the event was a great success. The band fielded many of its new pipers and drummers in the competition, which has been great preparation for what lies ahead in the upcoming outdoor season. For those who were unable to attend the event, the performances of every band will be available for download from Lomond & Clyde website from 24 March, 2010. The band would like to extend its thanks to everyone in Lomond & Clyde Pipe Band for including us in their fantastic event. 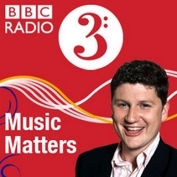 Radio 3's flagship classical music magazine programme 'Music Matters' will feature The House of Edgar Shotts & Dykehead Pipe Band in a broadcast to be aired on Saturday 6 March, 2010. The weekly programme presents topical in-depth interviews, features and discussions on the big ideas driving today's music world. The show produced a special Scotland Week episode and took particular interest in how the Great Highland Bagpipe has helped identify the nation. The band's practice session was recorded and a number of band members were interviewed for the show. You can find out more about the show at the Music Matters micro site. The House of Edgar Shotts & Dykehead Pipe Band will take to the stage for a short concert at the College of Piping in Glasgow to celebrate the 65th anniversary of the venue. The concert is to be held on Saturday 30 January, 2010 and is a sell-out. Joining the Shotts band for the celebrations will be the newly promoted Inveraray & District Pipe Band and their Pipe Major, Stuart Liddell. 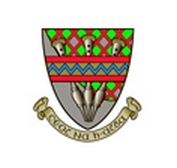 The band looks forward to performing in the college for the first time since its renovation and would like to thank the College for extending their invitation for the band to perform. BBC One Scotland's 'Hogmanay Live' programme will be on TV for viewers in Scotland, on the red button for digital TV viewers in the rest of the UK, and on the web for New Year revelers across the world! Just visit www.bbc.co.uk/hogmanay on Thursday 31 December, 2009 from 2345 to 0045 hours GMT on New Year's Day - watch the programme live or, if you're too busy partying, catch it on demand for another 24 hours on demand. Scotland's the best place in the world to celebrate Hogmanay so why let geography get in the way of your New Year party? The bells live from Edinburgh at midnight, and the capital's spectacular firework show to bring in 2010. So come in and join the Hogmanay party, wherever you are! The House of Edgar Shotts & Dykehead Pipe Band's Champion of Champions drum corps led by Jim Kilpatrick MBE took part in a very special drumming event recently in Basel Switzerland. The corps was invited to perform in Top Secret - Die Show, a stage show concert celebrating the 10 year history of the world famous Top Secret Drum Corps. Jim Kilpatrick and Top Secret director Erik Juliard are good friends and both drum corps met up in the summer while Erik's Top Secret corps was in Scotland for the Edingurgh Military Tattoo, where Top Secret always heads the cast list. When Jim received the invitation to play in the concert from Erik, he was naturally delighted to accept and he had no problem pulling together a full corps of 16 drummers to play in 4 shows. 6,000 people formed the audience for each of the shows in Basel's St Jakobshalle, paying around 90 Swiss Francs (Â£60) for the cheapest seats per head to watch a highly visually and audibly pleasing programme full of stick tricks, drum fanfares, costume changes, lighting and video displays and indoor pyrotechnics. 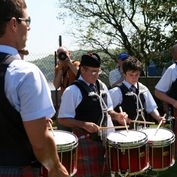 The Shotts drum corps performed some typical Scottish drum scores before showcasing the individual skills of Jim Kilpatrick and Tyler Fry and the collective talent of the full drum corps, which the partizan audience appreciated just as much as their Swiss counterparts. Jim and the drum corps described the event as probably the best drumming event they have participated in and are extremely grateful to Erik Juliard and everyone in the Top Secret organisation who went out of their way to make the corps comfortable and welcome during their visit. A special thanks is also due to Pearl Europe and Hardcase, who supplied the corps with drum bags and limited edition red cases for the trip. The World Solo Drumming Championships took place in Glasgow Caledonian University on Saturday 24 October, 2009 in front of a busy audience of keen pipe band drumming enthusiasts. The majority of the Shotts drum corps participated in the event and various levels, including 16 Years & Under, 18 Years & Under and Adult. It was in the junior events that the band's drummers were to fair best, with Grant Cassidy taking first place overall to Steven Shedden. Both tied for first place and had to be separated by an Adjudicator Preference, with Grant emerging as winner of his fourth world title as many years. Tenor drummer Neil Bruce competed in the 18 Years & Under section and took third spot with a 1st, two 2nd and a 12th place from the four adjudicators. In the Adult section, both Jim Kilpatrick MBE and Jake JÃ¸rgensen qualified for the final, but missed out on the prizes. Many congratulations to Grant, Steven & Neil on their well deserved prizes.